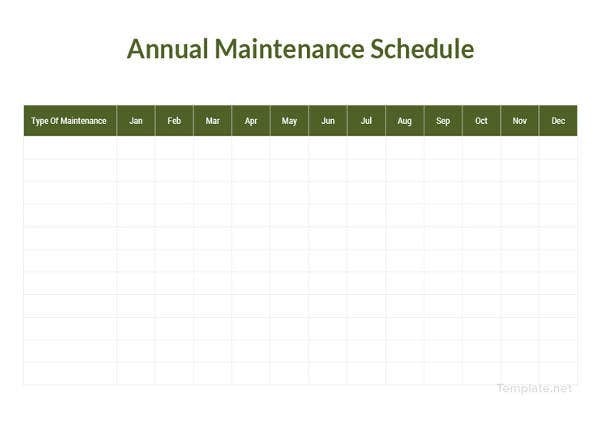 An annual maintenance schedule includes the maintenance activities that should be implemented in different spaces and structures done every year. It can be used by households, businesses, establishments, and other organizations who are working in a space that is needed to be maintained. Annual maintenance may be applied to equipment, systems, and areas of various locations. 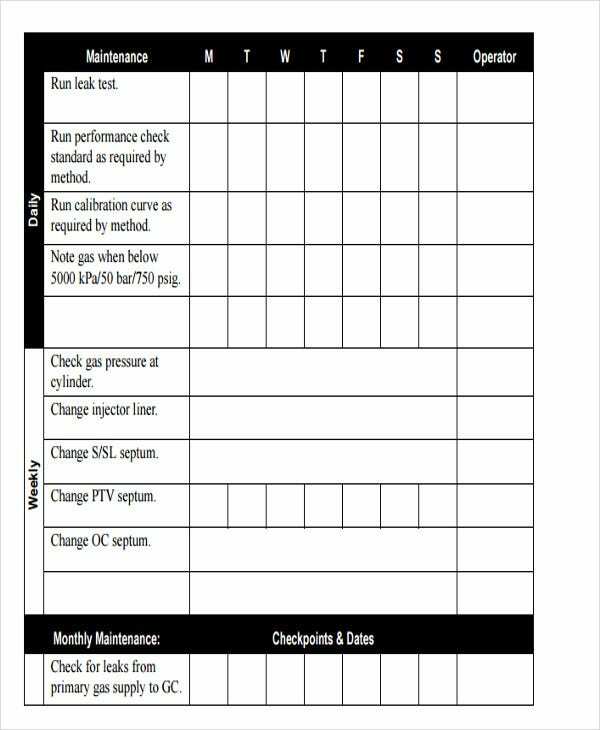 We can provide you with samples of annual maintenance schedule templates so you can use them as references in creating the annual maintenance schedule that you may follow. Other than that, we also have downloadable Schedule Template samples usable for different scheduling activities. 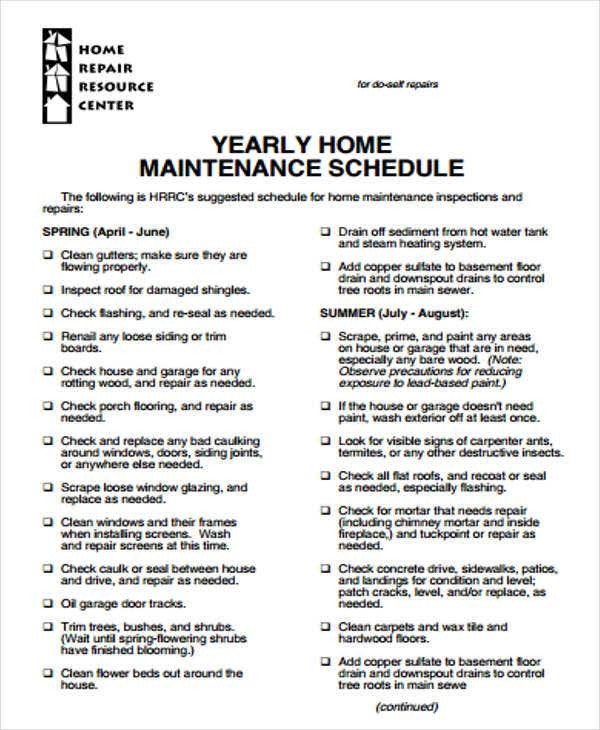 The description of the manual or the schedule to be followed to help the people who will use it to have an overview of the annual maintenance process and why it is important. 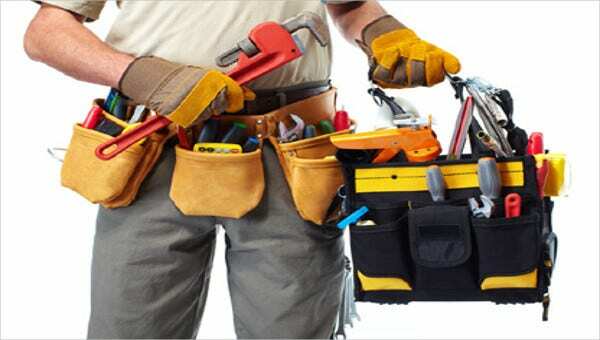 The maintenance plan that can help in assuring that the conditions of the items to be maintained are still good and appropriate for use. The suggested maintenance schedule which will vary depending on weather conditions, the processes, and transactions where the entity is involved and the buget allocation for maintenance. The service providers and item suppliers who you may contact to help you in the maintenance activities that you will do every year. The processes that are involved in particular maintenance activities, which depends on the scope of maintenance that you want to achieve and the items to be maintained. The maintenance logs that are needed to be updated to assure that all maintenance activities are properly done. You may add or deduct items in the annual maintenance schedule depending on the maintenance activity that you want to do. It all varies based on the conditions of the items that you have in your area and the application of different processes for maintenance. 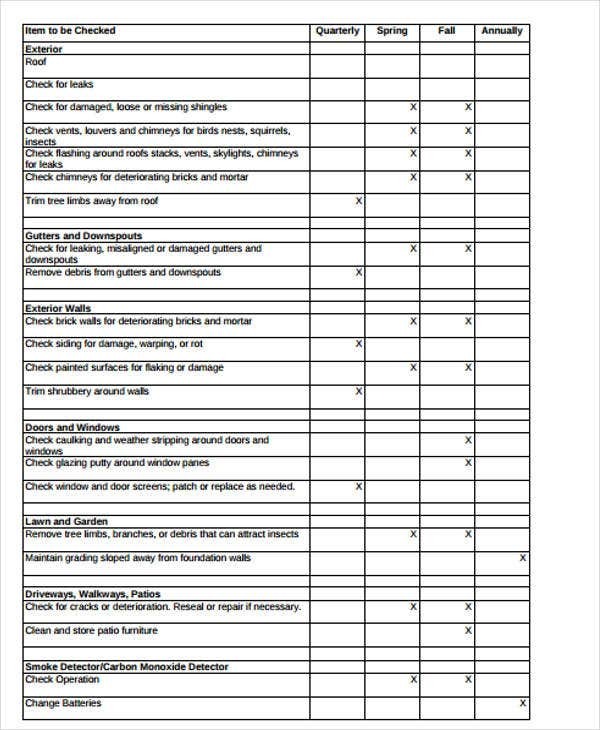 Other than our annual maintenance schedule samples, you may also be interested to look at our Maintenance Schedule Template samples. The company name of the service provider. The name of the representative of the company and the people who will do the maintenance works. The inclusions of the maintenance services. The scope of work that will be done by the employees of the maintenance services provider. The terms and limitations of the agreement. The schedule of the maintenance services. The price that you need to pay for the maintenance services and the payment terms that you may follows. 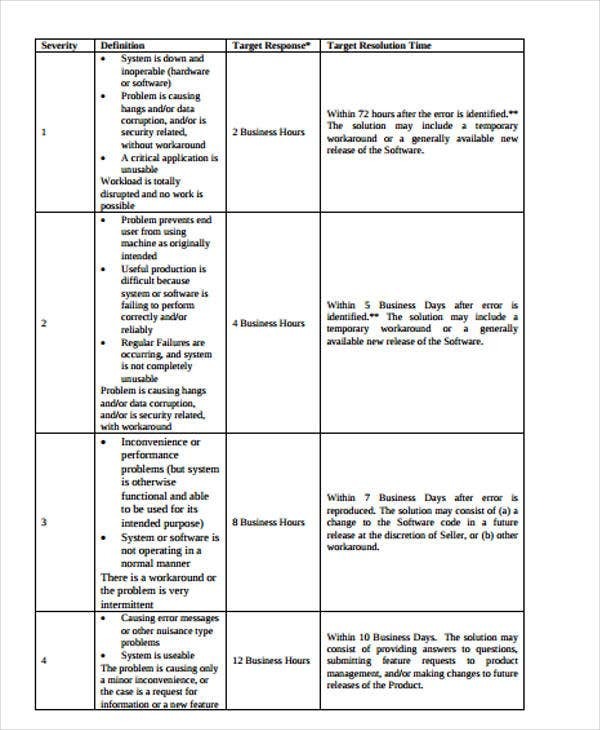 The conditions of the services to be given and its application during the maintenance duration. It will help you to assure that the space where you are doing your daily routines is safe. It can allow you to check to conditions of different systems that you have in your house or office which includes plumbing and electrical circuits. It can help you to assess whether systems, items, equipment, and other present materials in the vicinity are still functional and in good working condition. It makes you aware of the preventive maintenance that you can do so you may not need to replace them which is an additional cost to you and/or the entity owning the space. 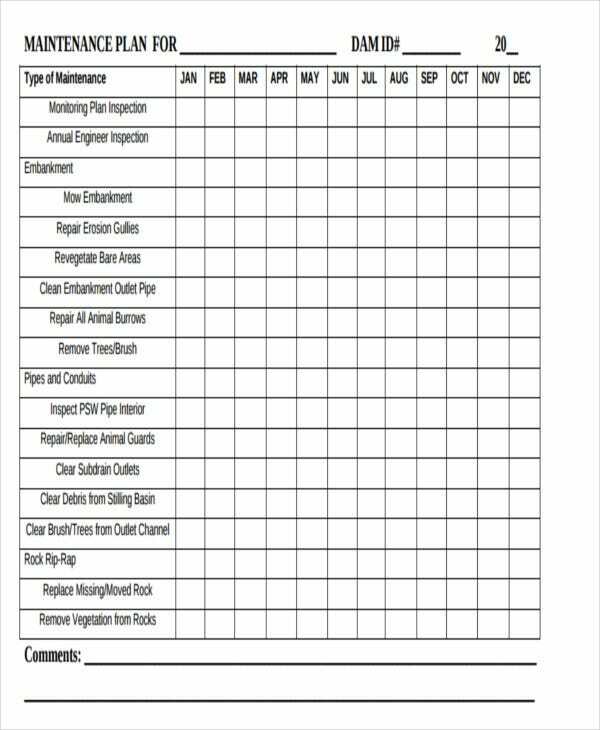 Aside from our annual maintenance contract schedule, you may also download our samples of Yearly Schedule Templates.